The dream of building a national mountaineering centre started around eight years ago. Finally, the bold dream has come true with an impressive visitor centre by the sea in Norway's mountaineering capital Åndalsnes. In May 2016, Norsk Tindesenter opened its doors with a grand ceremony hosted by crown prince Haakon. 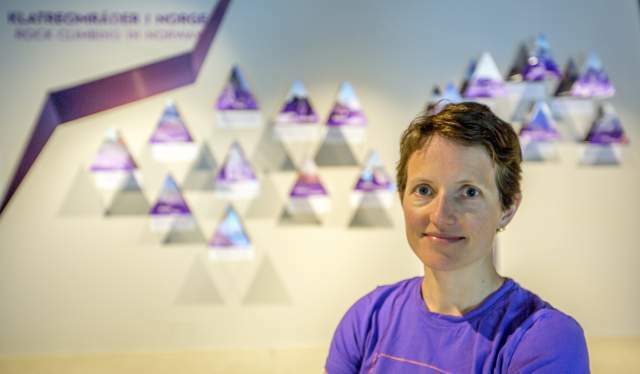 “Åndalsnes is the only place in Norway where it makes sense to have a national mountaineering centre” says manager Anita Vik Buckley. Åndalsnes is known as Norway&apos;s mountaineering city for a good reason. Surrounded by 1,800-metre high mountains, this small town with 4,000 inhabitants is also called "the alpine village by the fjord". The most spectacular peaks are Trolltindene, Vengetindene and Romsdalshorn. In the area you will also find natural top attractions like the famous Trollstigen road and the Trollveggen rock, the Raumabanen railway, the Romsdalsfjord, the Romsdalseggen ridge, the Romsdalstrappa and the viewpoint Rampestreken. Norsk Tindesenter hopes to be a meeting place for all mountain enthusiasts who visit the area and at the same time showcase the proud history of Rauma. Offering heaps of fun experiences for visitors, Norsk Tindesenter is a tribute to outdoor activities in the mountains. "Romsdalen is known internationally for climbing, and the 21-metre high climbing wall at Norsk Tindesenter is the highest in Norway," Anita says. But there are also several easier climbing routes, walls and shelves that provide a suitable challenge for beginners and children. With no less than 60 different climbing routes of varying degree of difficulty, there is plenty to discover for every age and ability. In addition to the climbing wall, the centre has a cinema, a mountain library, a museum shop and a restaurant. The Tinder restaurant, also called Spiret Spiseri, serves a range of exciting dishes based on seasonal ingredients. The restaurant has both indoor and outdoor seating and welcomes everyone, whether you pass by in mountain boots or high heels. 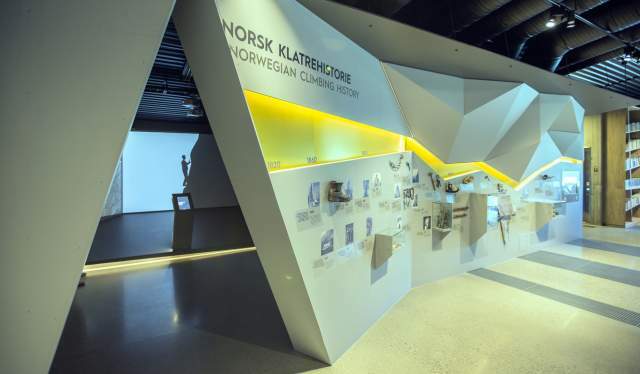 Norsk Tindesenter further offers an interactive exhibition and lots of old objects that all have a story to tell, and visitors are welcome to touch and play with the objects. The goal is to showcase the development of mountaineering through interactive learning. Fred Husøy, Chairman of Norsk Tindesenter, confirms that they have lots of exciting memorabilia: “We have things like equipment used in the first Norwegian expedition to Mount Everest, and the skis Roald Amundsen used on a training session across the Hardangervidda mountain plateau.” The museum is based on the collection that Arne Randers Heen, also called “The King of Romsdalshorn,” has built up over many years.